It has been hot here, but this last week has cooled down considerably – I’m back to sleeping under the covers without the fan blowing directly at me. It is a nice change. I’ve been dealing with getting the household under control without mom around. And have the occasional breakdown, particularly when people bring up mom without warning in conversation. I’m starting a new day job on Monday which I am really looking forward to! I needed a change of everything to get my mind occupied learning new things and changing routines. 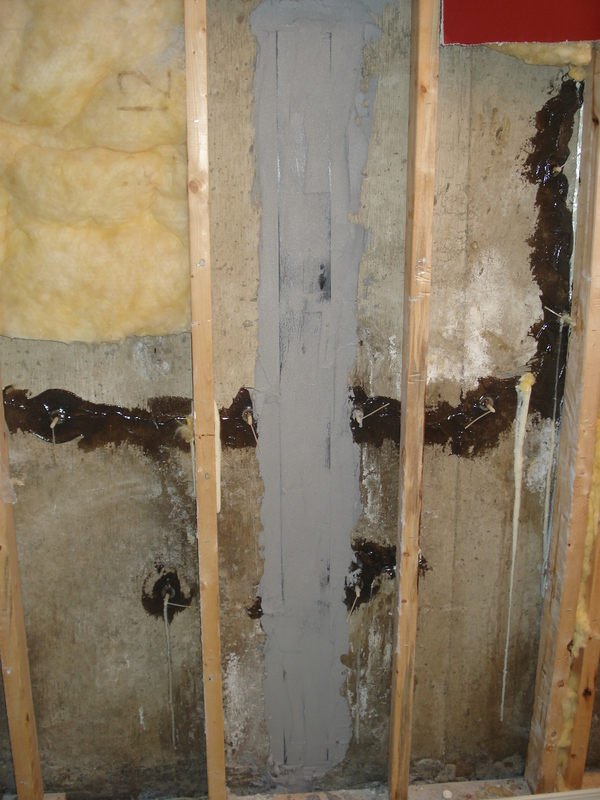 I am thinking about renting out my house so decided to get some cracks in the foundation checked again (I had them looked at a few years ago). So I booked a company to come and check for me – I decided to move the shelves in the basement bedroom against the wall that had cracks showing. 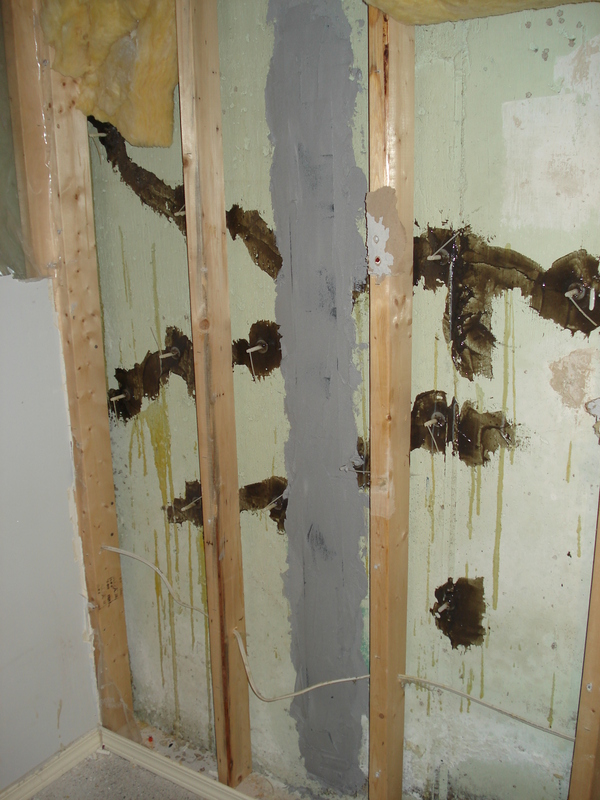 The shelves had mould on them against the wall – the question of whether the cracks were leaking was answered even before they were professionally checked. Long story short – massive amount of cracks in the west wall of the foundation, only a couple along the south. Repairs now done. But they will have to come back to possibly do more once I get the utility room clear as I had to store most of my stuff in there while they did the work. But luckily no mould problem in the walls, thank god. I had no idea how much staff/crap I have. When I started having to empty shelves so they could be moved I filled up about 9 paper boxes with books, 20 large plastic bins with photo albums and ornaments, small bins with make-up supplies, etc. etc. I am planning a garage sale, maybe two, in August to get rid of so much stuff – appliances (a dryer and a dishwasher), small appliances (blenders, deep fryer, panini press, electric frying pan, etc. ), kitchen stuff (dishes, pans, baking pans, cutlery), ornaments and decorative things like cookie jars and glass canisters, framed things, craft and art supplies, some furniture… there is so much of it. And the thing is, it wasn’t cluttered or piled up. I have 18 bookcases in this house… and they all were full. Just so you know, this is what the repaired foundation looks like before the wall is rebuilt – cracks filled with epoxy and Kevlar strapping attached to hold it all together. Now I am awaiting the quote from a contractor to rebuild my walls, gut and rebuild the basement bathroom (it is very wet and needs ripping out and fixing of the problem which we think is the shower drain), replace all the flooring (the carpet has to go as it has been wet and there is some mould), paint, trim, etc. I am going to be counting every penny in order to pay for the repairs, but they have to be done to ensure the house is sound. Once this is finished we will have completely replaced everything – I am pretty sure we spent more fixing and replacing things than we paid for it 10 years ago. Last fall the roof was replaced. The main floor was completely redone 2010-11. First month we were in the house the sewer line had to be replaced, then all the windows, every appliance, hot water tank… well, you get the idea. Canada Day was busy and hot as always! My crew of ten (eight painters and two cleaning crew) worked steady at the big event at Muskoseepi Park. As always we limited the choices and colours were red, white, and black. And rainbow. 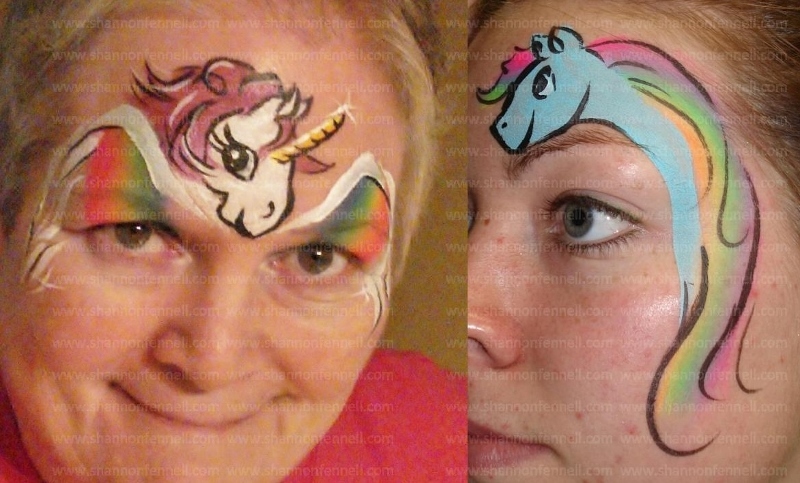 Only two ponies got painted – both were Rainbow Dash. There are sure a lot of them to choose from. On June 20th I taught a workshop in Tumbler Ridge, and will be back there on the long weekend for Grizfest. And I will be at the Debolt Fair on August 15 and the Hythe Fair on August 16 too. Along with other events and birthday parties to keep me busy and earning money to pay for my basement repairs! 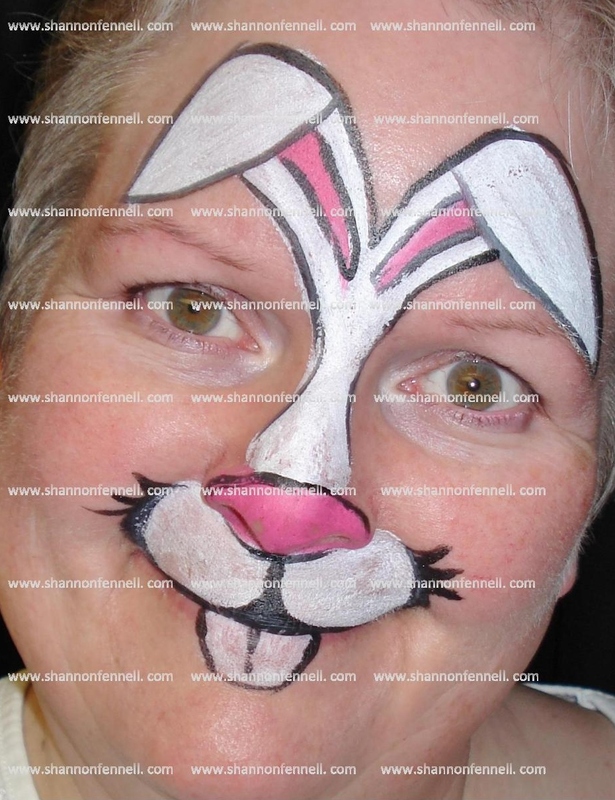 Categories: Face Painting, Face Painting Designs, Shannon Fennell | Permalink. Spring is here… yeah, right. First day of Spring usually means more snow around here. And this year was no different. 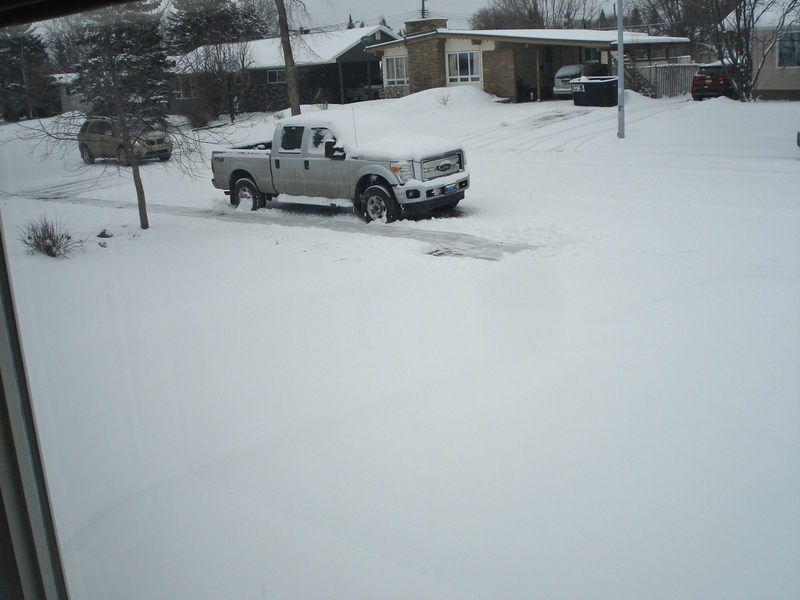 Snowed pretty much all day yesterday and today we are under a “Heavy Snowfall Warning”… after such a nice warm spell too. 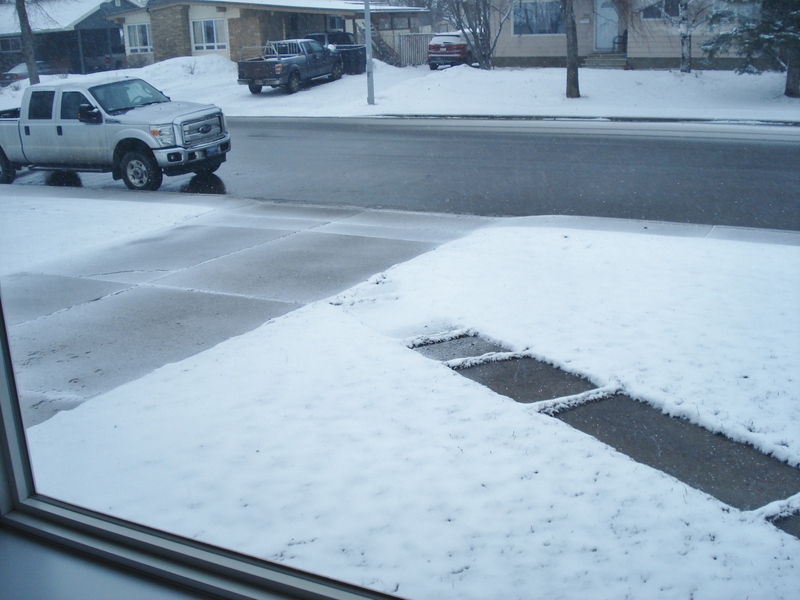 Forecast is to be back up to +11c by next Thursday so I am not even going to bother shoveling the driveway. This was yesterday afternoon. Spring started at about the time I took this photo. This is this morning, first full day of Spring. I’ve just been checking in on blogs I have bookmarked (I don’t “follow” or sign up, I just bookmark them to check in when I have time) and there are a lot that haven’t posted for months, and in some cases a year or more. A couple haven’t posted for over two years. I think I may remove them from my bookmarks. Makes me wonder about why they’ve stopped posting… are they dead? They forgot they have a blog? Don’t care anymore? Some are connected to businesses that are still in operation – why have they not been posting on their blog? Did the person responsible leave and no one took over? I know in some cases the bloggers are overwhelmed by feedback from their followers and take breaks from the whole thing. While I don’t have that issue I can understand the need to back away. People can be demanding and/or cruel and/or needy, etc. Just look at how demanding some people can be on Facebook groups – magnify that and focus on one person who has a hugely popular blog with hundreds of thousands of followers. Yeah. That. 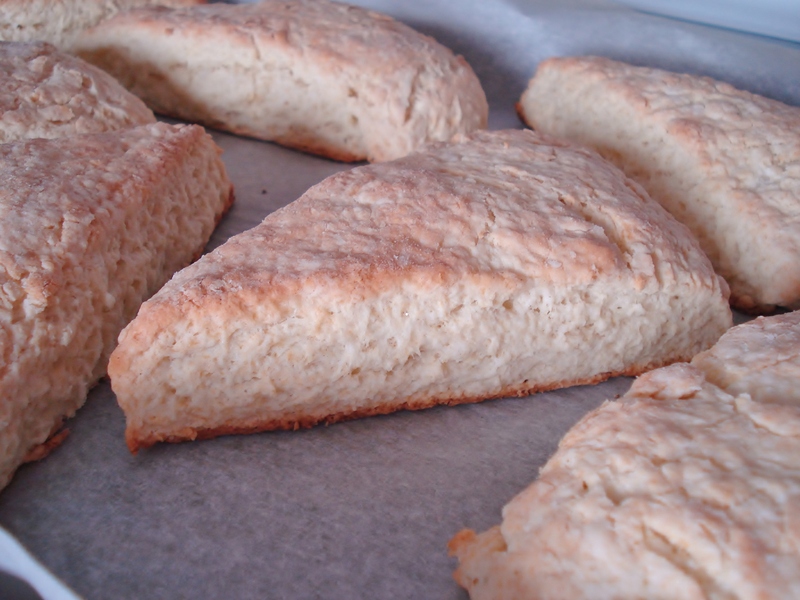 In my last post I mentioned making scones… I did and here they are. My new container of baking powder is a dud – nothing is rising, so these should be about three times higher but they are still very good! I also made chocolate cupcakes with chocolate icing – a request from mom (she asked for cake but cupcakes were easier). No photos as they weren’t that interesting. Mom had them for lunch the last few days. Next Saturday is a make-up test run for the next show at Grande Prairie Live Theatre, “Cards on the Table” which is an Agatha Christie murder mystery. 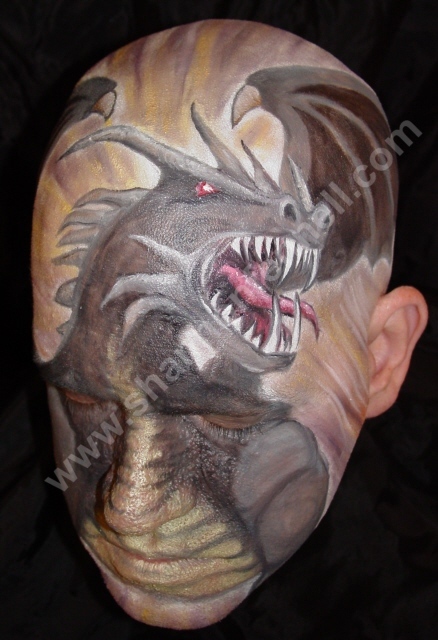 We are doing something very unique and interesting with the hair and make-up – and sets and costumes! I will post photos after the show opens as I don’t want to spoil the surprise. I did a test make-up on one of the cast – it is pretty neat. And, as Easter is coming here is my bunny painting – which will be the featured design at the Easter Eggstravaganza at Muskoseepi Park on April 4th. 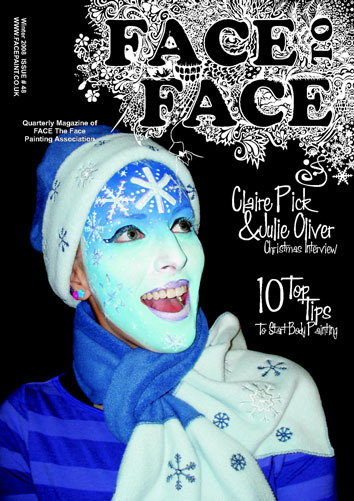 We will be there face painting from 11 a.m. to 4 p.m.! 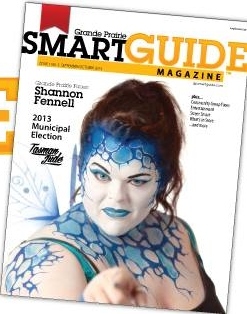 Categories: Cooking, Face Painting, Face Painting Designs, Shannon Fennell, Theatre Make-Up | Permalink. 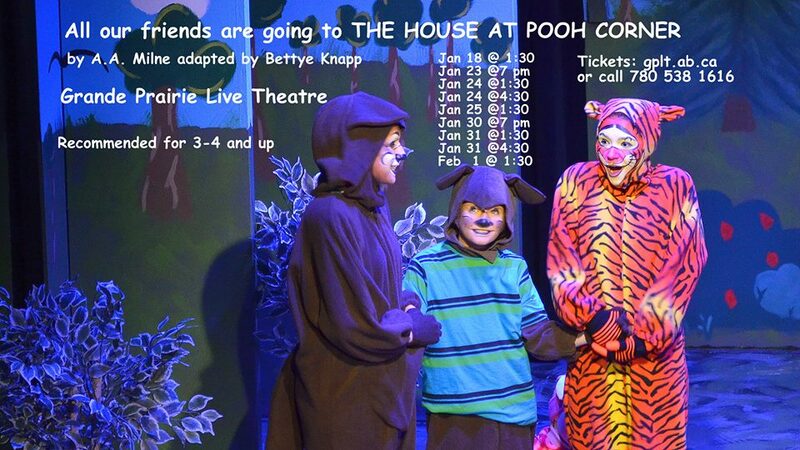 This is the final weekend for The House at Pooh Corner at Grande Prairie Live Theatre. The show is really excellent – great set, great actors, great costumes, and ahem, great make-up, of course. Piglet, Pooh, Kanga, Tigger, Eeyore and Owl. Still time to get tickets for the three remaining matinees! Monday night is first dress rehearsal for Les Miserables… stay tuned for photos! 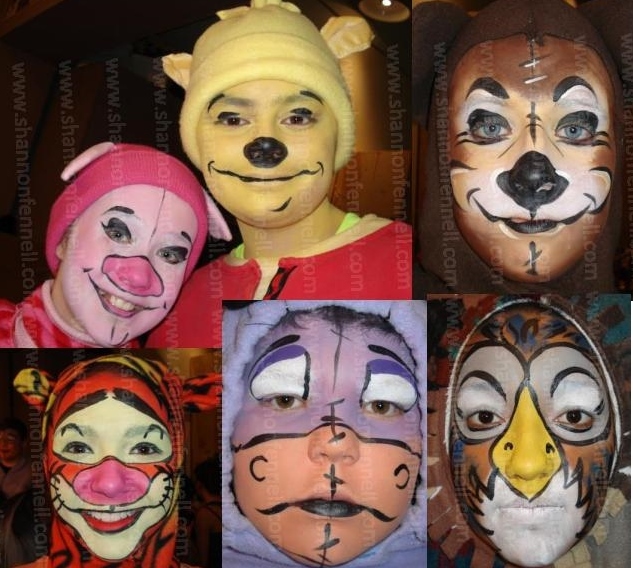 Categories: Costumes, Face Painting, Face Painting Designs, Shannon Fennell, Theatre Make-Up | Tags: House at Pooh Corner, Tigger | Permalink.